I do not like glitter/metallic fabrics and I really do not like (FAKE) Swarovski diamonds. 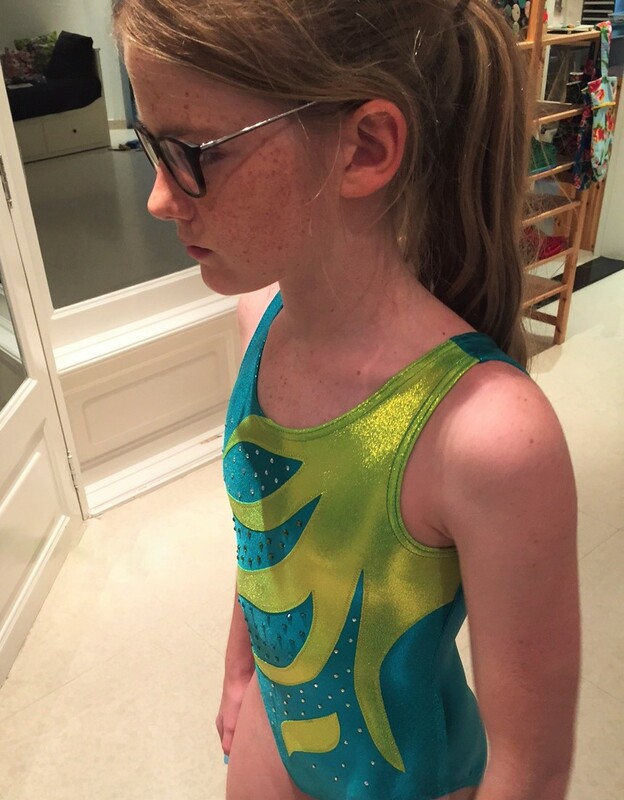 But if I do not add them the girls do not wear the homemade leotards. So not a lot of options left. She looks sad, but is just tired. Not a good idea to ask to show her new leotard at 10pm.